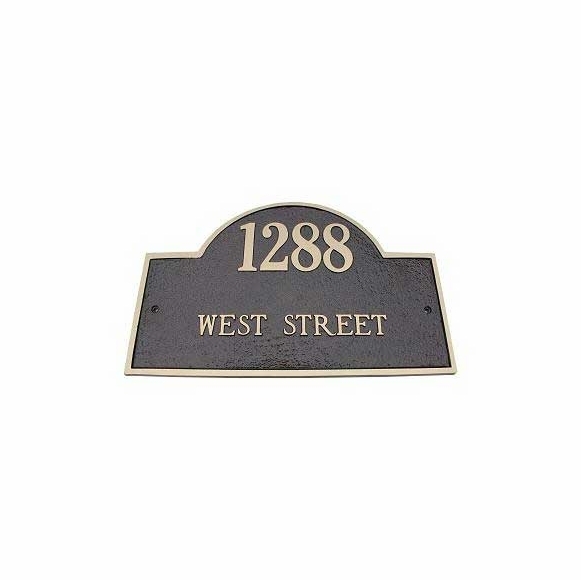 Brass Address Plaque - - solid cast brass arch address marker with two lines of personalization. Large arch sign measures 15.75"W x 9.75"H. Wall mount. Made in the USA. Solid cast brass construction in your choice of 16 colors. Line 2 holds up to fifteen (15) 1" characters (including spaces). Dimensions: 15.75" x 9.75"; weighs 12.5 pounds. Hand crafted in the USA from start to finish to assure the highest quality.